Herbert F. Johnson, Sr. was the ultimate salesman – and just what the company needed in its second generation. “The goodwill of people is the only enduring thing in any business. It is the sole substance. The rest is shadow.” Herbert F. Johnson, Sr. Think about Herbert F. Johnson, Sr. and one word that comes to mind is "expansive." From his hearty laugh, to his love of people, to the ways he helped the company broaden its product line and reach, Herbert's enthusiasm and impact were boundless. He was the ultimate salesman – and just what the company needed in its second generation. The first three generations. Herbert is on the right. 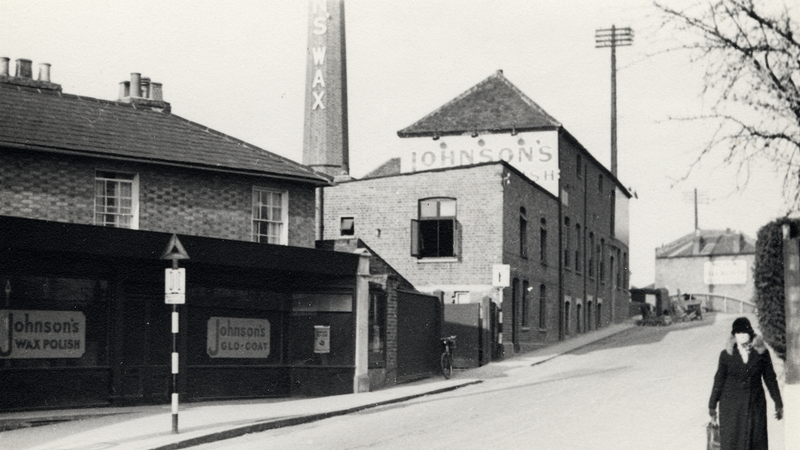 A Partner in Growth for "Johnson's Wax"
When Herbert F. Johnson, Sr., second-generation leader of SC Johnson, joined his father’s company in 1892, the floor wax business was just getting started. A small two-floor shop in Racine, Wisconsin, produced Paste Wax for sale in the U.S. Midwest. But after Herbert’s father, Samuel, took out a small ad in The Saturday Evening Post, products started flying off the shelf. It was time, Herbert knew, to expand. 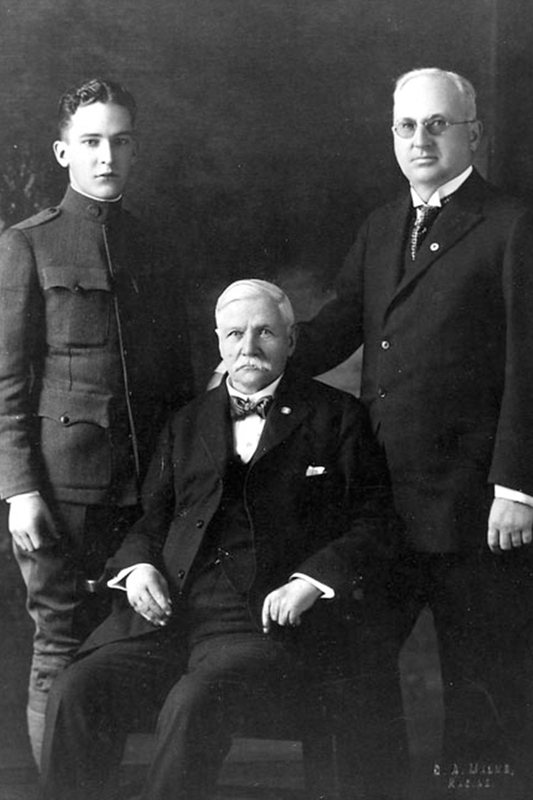 In 1906, Herbert became a partner, making S.C. Johnson & Son a family company in name as well as practice. Before long, the father-and-son business had grown to include new product lines from liquid wax, to electric floor polishers, to automotive products. 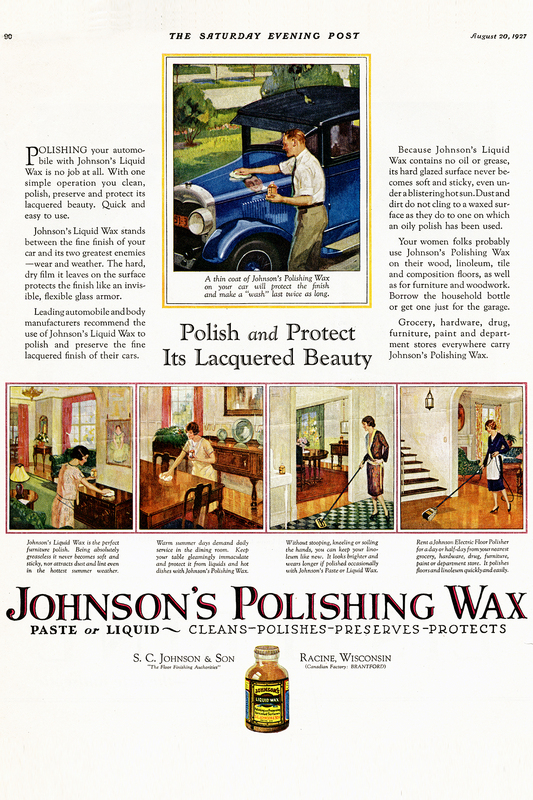 LEFT : Johnson's Polishing Wax advertisement, The Saturday Evening Post, 1927. 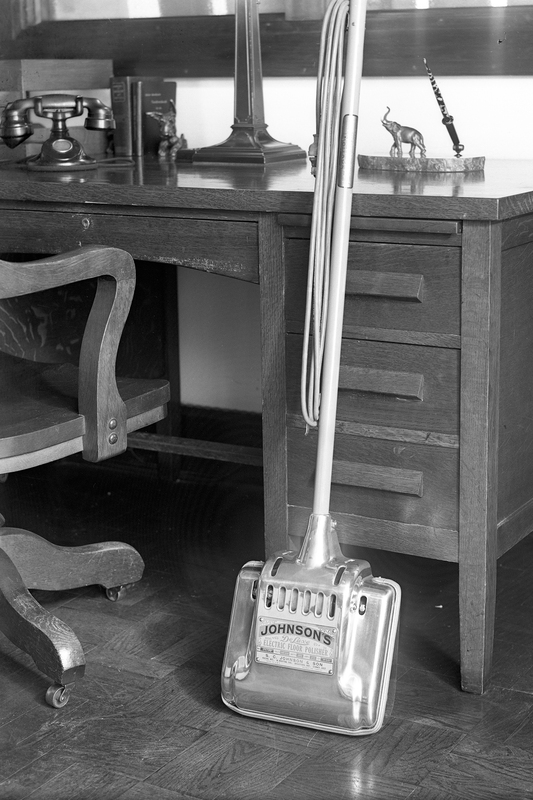 RIGHT : Johnson's Deluxe Electric Floor Polisher, 1926. TOP : Johnson's Polishing Wax advertisement, The Saturday Evening Post, 1927. BOTTOM : Johnson's Deluxe Electric Floor Polisher, 1926. The company had 92 employees in 1910. The first product-filling machine was installed in 1912 and by 1913, Herbert had international growth in mind. Unlike many business owners at the time, he believed that if a product could succeed in America, it could succeed in other nations. There were, he reasoned, more people outside the U.S. than within it – and that meant a promising market opportunity. Herbert was, at heart, a salesman. He himself made the multi-week voyage across the ocean to win the company’s first British sales – a story that lives on in company lore. By 1914, he had founded British Johnson. The first order of Johnson Wax shipped as World War I erupted, and the ship carrying it was sunk by a German submarine. But Herbert’s enthusiasm for expansion was undaunted. Herbert didn’t stop there. He continued to travel, befriending potential customers near and far. He added Australia Johnson to the company map in 1917 – just two years after the purchase of the company’s first truck. In 1920, Canada became the company’s third subsidiary, and the tradition continued. Today, SC Johnson sells products in virtually every country in the world. But perhaps Herbert’s greatest legacy was his remarkable ability to connect with people – to make them feel like part of a larger family. 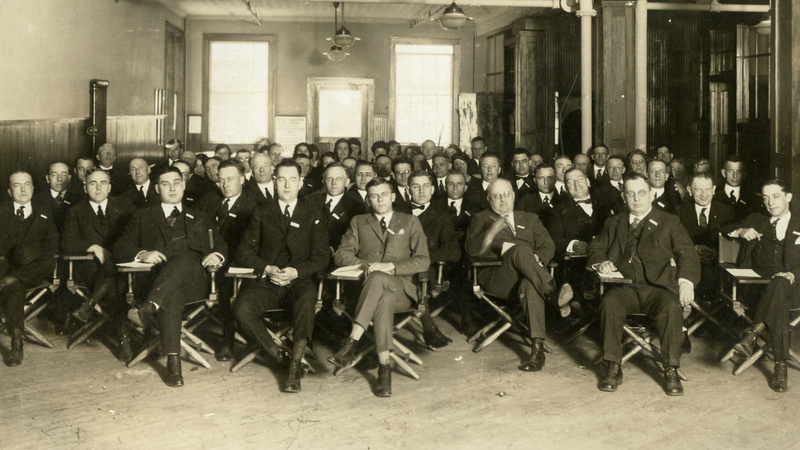 This helped inform the creation of the company’s profit sharing program in 1917, making it one of the first U.S. companies to institute the practice. Herbert believed that all employees should participate in the success of the business. That first year, 193 employees shared $31,250. Today, millions of dollars of profit sharing payments are distributed to SC Johnson people each year. Herbert led the company to new innovation and growth. He began the international expansion that today helps us call home to countries around the globe. But perhaps his most enduring legacy was a speech Herbert gave in 1927, shortly before he died. Herbert understood that a business is merely a symbol, but it stands for the work of many, many people who come together to build a company, to serve an idea, to change the world. His 1927 Profit Sharing Day speech became a mantra that lives on to this day at SC Johnson. His goodwill inspires us all.